Published Card and a Giveaway!!! This week I was organizing few of my crafty stuffs and the published magazines, while going thru all the published work I found a few that I never shared with my blog readers. Sorry! My first book publication...I've 4 projects in this Book. 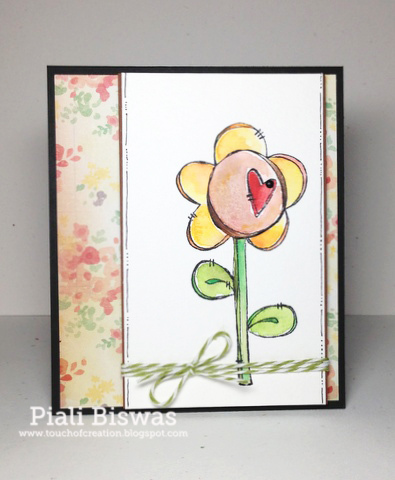 Here is a hidden message card..
Lovely watercolored Heart Flower from Purple Onion Designs Stamps. You slide the flower center to reveal the hidden message. You can find step by step instruction in the book, and many more fun technique. I've an extra copy of this Book, I would like to give it away to one of my blog readers. Leave me a comment , if you would like to win this book & few surprise crafty goodies.. I'll pick a lucky winner on Sept 5th, 2014. Purple Onion Designs Anniversary Sale will be over on August 31st. 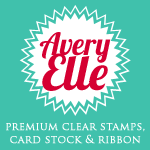 All stamps are 25% off...great deal, so grab your favorite POD stamps now!! 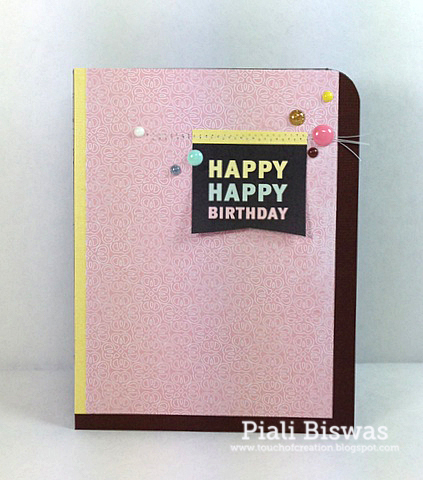 CardMaker- The Paper Loft Bloghop!! 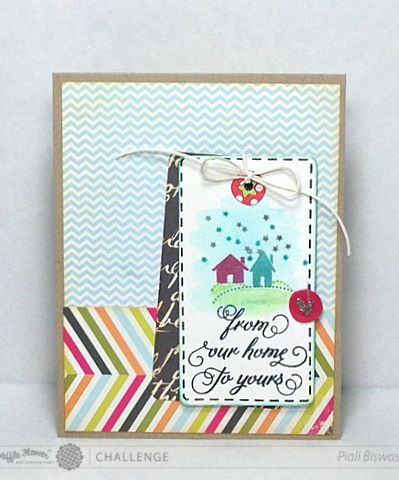 Welcome to CardMaker Magazine and The Paper Loft blog hop!!! 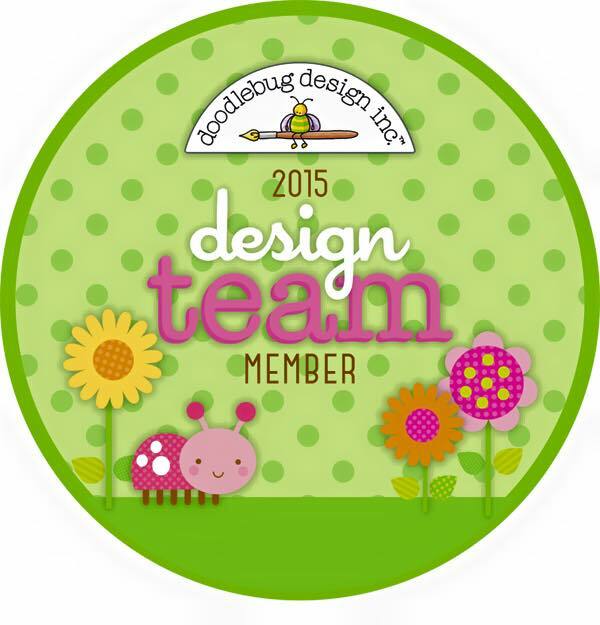 Today Cardmaker Magazine Blog Team members are joining with the The Paper Loft Team for fabulous Bloghop. If you are new to The Paper Loft company, please visit them HERE to see the great paper collections. As you all know I love patterned papers a lot , I think a perfect patterned paper is best tool for card making. 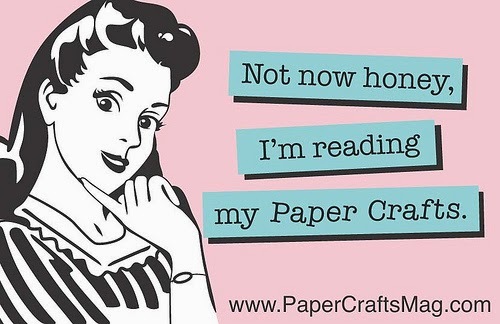 Pretty paper does most of the work for you. 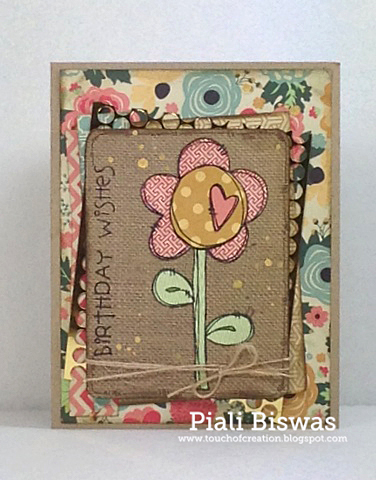 Today I have created few quick & easy birthday cards using The Paper Loft products. As a mom of two girls I'm always in need of b'day cards and more girly cards so I created 2 girly birthday cards and one for boy. I love the pretty Truly Scrumptious collection!!! Tons of pretty girly papers and perfect sentiments. The lovely papers did all the job I just simply glued them on the cardfront!! 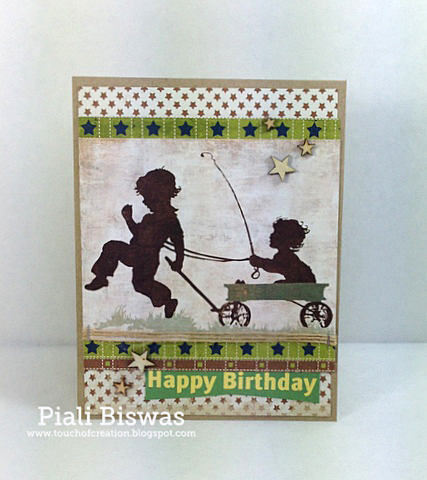 I used In The Zone papers, sentiment from Truly Scrumptious and the focal image from BOYS WILL BE BOYS story book page. Fab 'n' Funky - For the kids. I had a blast creating with these lovely paper products... you will see more of these papers in my future creations. Hope you liked my cards!!! Enjoy the hop and make sure leave comments on each stop. The Paper Loft is giving away a $25 gift certificate to their online store to one winner on their blog . Next stop is Debbie Seyer's blog. 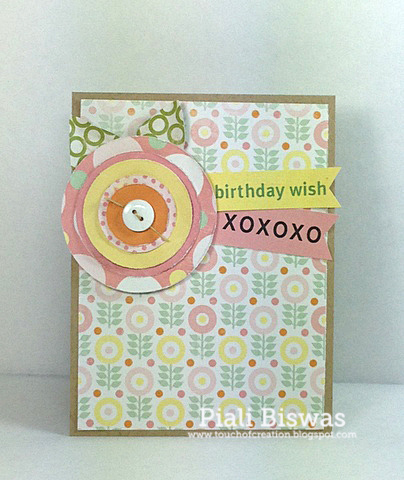 The Purple Onion Designs Anniversary sale starts today.... all stamps are 25% off !!! 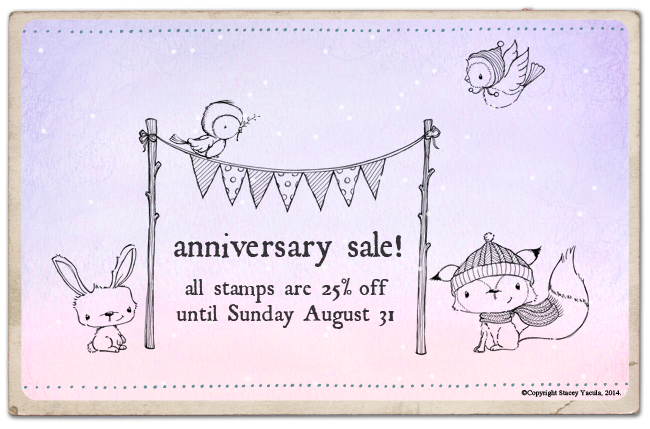 The sale ends on August 31st...so hurry and get your cute stamps now. I have two POD cards to share with you all. Two very different style cards. Love the POD-Heart Flower stamp, its great for paper piecing. I used the Fancy Pants- Burlap & Bouquets paper pad and some gold punchinella. The sentiment is from POD-Birthday Wishes Hopscotch. ♥ the font!! Brown Sugar – Let's get Krafty. Artistic Stampers - Anything Goes. ...it has a 3D effect to it, as the layers are popped up than the other! I used POD-Ruby -The flying owl and POD- The Blooms stamps. The sentiment is from POD- A Beautiful Day sentiment set. Stempelsonnen Challenge - Anything Goes +stamp. The Sisters of Craft - Anything goes. Its time for Waffle Flower Challenge #2!! 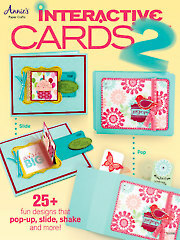 Hope you have seen the Waffle Flower Crafts new release ....an awesome bunch of stamps & dies. I have used some of the new released stamps for my card today. I used the sketch and the created a small scene on the tag. and tag stamp from Surface Tag stamp set. Surface Tag - starter kit die , Tiny Heart die and Tiny Star die. I absolutely love the tiny dies....its Waffle Flower Craft's special thing. Speaking of dies ...don't you all just looooove the Santa Tag add on??? Its my Favorite...I was so tempted to use this for the card but I'm saving it for this year's Holiday cards. The patterned paper is from my recent favorite paper pad...Fancy Pants- Meology collection. 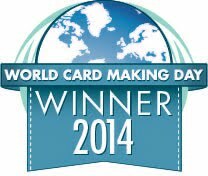 Hop over to WFC Blog check out the fabulous DT creations and enter your cards to win !! Hello & Happy Monday Everyone!!! I watercolored the images and background with Inktense pencils. Added some diecuts and embellies ...fun and simple "hello" card. Crafty Calendar - Anything Goes. POD is having Overstock Sale...don't forget to check it out! !